Classes begin September 7. All classes are on Thursday evenings. Registration is August 26 from 12-3:00. Registration fees are $35 (non-refundable) which also serves as a down payment on your costume. 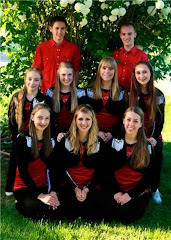 Costumes will be used for the whole season. 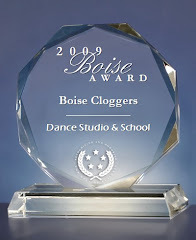 Email me at boisecloggers@hotmail.com if you have any questions. If you want to e-mail me, write laurabinghambooks@gmail.com My other e-mail still works too. "Alvor" is a middle grade fantasy written for all ages and its award winning sequel "Wings of Light" is available too. The newest book is "Dancing with Black", a contemporary young adult book. Look for the last Alvor book to come out this summer! "Dipped in Dark" is the last of the series. 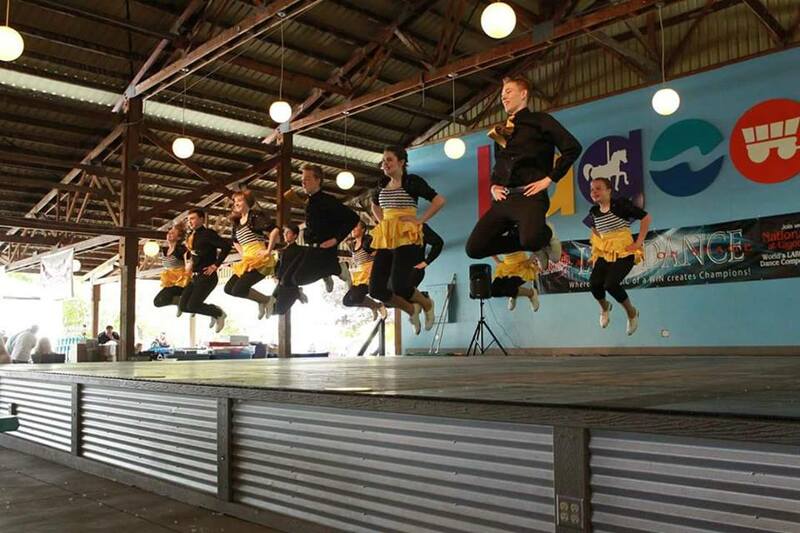 But about me, I have a clogging studio in my backyard,I teach high school science full time, have five energetic and imaginative kids who all dance too, the perfect husband, three miniature horses, Two little dogs and most of the time, an hour or two a day to write. Tuition: Rates will stay the same this year. There is a $5 discount per family member. New this year- tuition will not be pro-rated. Tuition will be the same regardless of how many classes students choose to attend per month. Tuition is due by the last lesson of the month. You can order shoes when you come to class. The cost is $46 which includes tap installation. Registration is $35 for girls and $25 for boys. It is a non-refundable down payment for your costume (one per season, November-May). We are located in west Boise at 2840 Wildwood St. It is off of Ustick between Cloverdale and Five Mile.